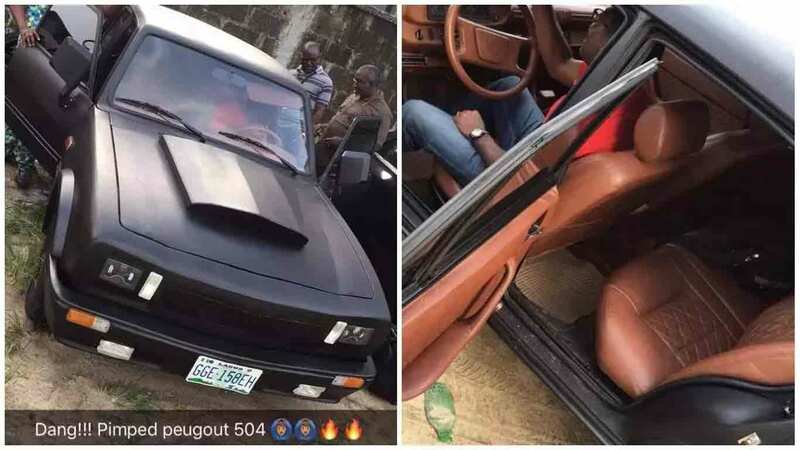 The man whose talent is beyond great transformed the Peugeot 504 into a vehicle that looks more like a Mustang. Any Nigerian who was old enough in the 60s, 70s and 80s would remember how much a Peugeot 504 trended around that time. It was reported that the Peugeot 504 was manufactured and marketed in 1968-1983. It was widely used in Brazil, Nigeria, Argentina, Australia, Ivory Coast, Ghana, Cameroon and Kenya. 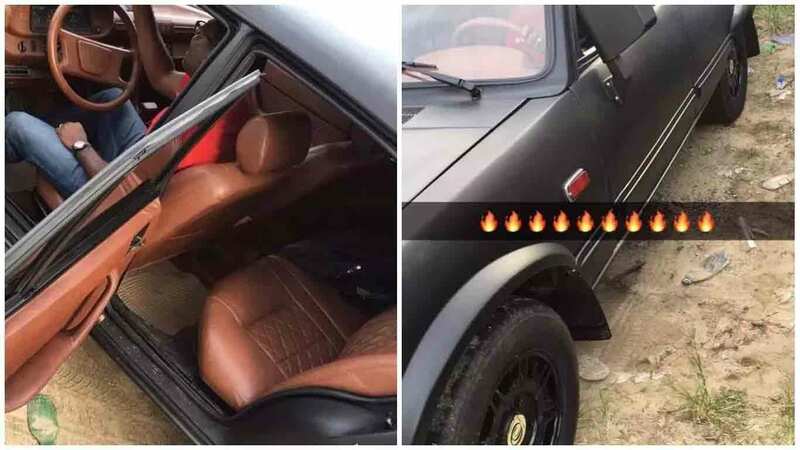 It is not only amazing that someone could still own something that is as old as a Peugeot 504 but to transform it into something beautiful beyond recognition is truly great.